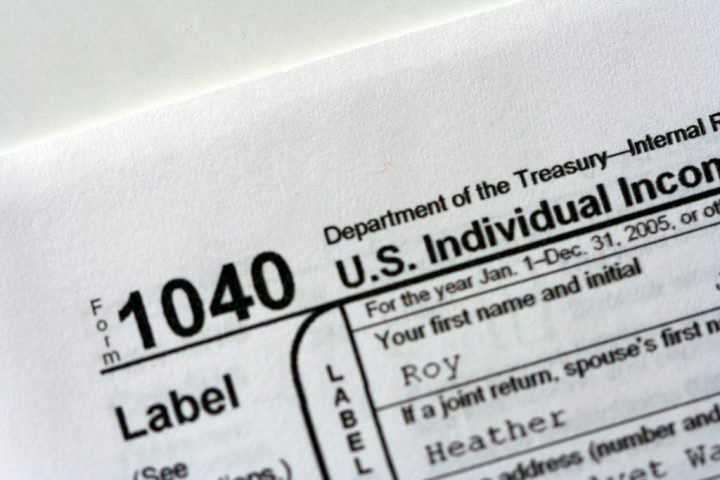 The cost of filing federal income tax returns has risen steadily since the 1980s, partly because Americans are filing more forms with their returns, a UCLA researcher has found. The issue: American taxpayers submitted more than 149 million personal income tax returns to the IRS in 2017. For some, filing tax returns can be a stressful, confusing, time-consuming process, especially for those who want to itemize deductions such as mortgage interest, personal property taxes, charitable donations and state and local income taxes. So how much does filing taxes cost American taxpayers? A recent study attempts to quantify that cost, including the money people forgo by claiming a standard deduction instead of itemizing. A study worth reading: “How Taxing Is Tax Filing? Using Revealed Preferences to Estimate Compliance Costs,” a National Bureau of Economic Research working paper, 2017. Study summary: Youssef Benzarti, an assistant professor of economics at UCLA, examined taxpayer deductions between 1980 and 2006 using a random sample of federal income tax returns. He estimated the cost of itemizing deductions and used that information to estimate the total cost of filing returns. As part of the study, Benzarti surveyed individuals living in a wealthy Los Angeles neighborhood to find out what taxpayers who itemize their deductions believe about the probability and cost of an IRS audit. His estimates are in 2016 dollars and do not reflect changes related to the Tax Cuts and Jobs Act, approved by Congress in December 2017. The IRS publishes trend data on the number of people filing returns and whether they file a paper or electronic return. The agency also publishes an annual Data Book, which provides a range of data on topics such as gross collections, refunds, audits and IRS staffing levels. The National Society of Accountants conducts a biennial survey to collect data on tax preparation fees for various tax forms and scenarios. A number of non-profit or government agencies offer free help filling out tax returns. Among the largest is the Volunteer Income Tax Assistance (VITA) program, which provides assistance to individuals with low-to-moderate incomes, disabilities or limited English language skills. The Tax Counseling for the Elderly program offers free help to senior citizens. A 2015 study published in the Journal of Public Policy, “The Political Economy of Tax Enforcement: A Look at the Internal Revenue Service from 1978 to 2010,” finds that more tax returns are audited under Democratic presidents. Photo by John Morgan obtained from Flickr and used under a Creative Commons license. Citation: Benzarti, Youssef. “How Taxing Is Tax Filing? Using Revealed Preferences to Estimate Compliance Costs,” National Bureau of Economic Research working paper, 2017. No. 23903.